Our aim is to provide the highest quality courses & training to help you in the best way possible in whatever area you may need it. With our combined 30+years of experience working professionally as healers we draw upon our experience and knowledge of the best ways to practice in the most effective ways. Natalie & Gabriella Lewis are both Reiki Masters, this mother & daughter duo creates a comfortable and relaxed atmosphere. People who come and see Natalie and Gabriella say they feel better as soon as they arrive, and often don’t want to leave. A significant element to all of their courses is the atmosphere and energy that is created within the house the courses are run in. Natalie is an intuitive, high sensitive empath, who has been on a spiritual path for over 40 years. Gabriella is also highly sensitive, an empath and has been described as having a very gentle loving energy and has been on a spiritual path for over 10 years. Together they create a very healing space enabling your transformation and learning at an accelerated rate. Whether you come to us once, or continue with us on a regular basis as you move through your spiritual journey and into the most exciting experience of our lives you will be helped, supported, given knowledge, healing and understanding of not only Reiki but also all that is happening at this time on a bigger scale. By coming and being part of a group, a very powerful space is created with the opportunity for a greater transformation and learning. Natalie has been deeply committed to helping others transform for 30 years and brings a wealth of understanding and experience to all her sessions. She began sharing and working with others in the complementary therapy, spiritual and healing field in her early 30′s. She has attended many courses, trained as a Samaritan, completed a foundation course in counselling, is a qualified NFSH healer, Reiki Master and Advanced Theta Practitioner. She is internationally recognised for her work with her caring, personal approach and sincerity. She has worked with 1000’s of people in Europe, America, Australia and Barbados and has been privileged enough to have been invited to speak about complementary therapy at the University of the West Indies in Barbados, as well as working with groups in the corporate world. Through her life experiences she easily connects & resonates with her clients and has a deep understanding of their problems bringing love and compassion to her work, whatever the issue or problem is. Growing up with a mother who is also a healer she is now following in the same healing footsteps and over the years has had a great deal of exposure to the complementary health world through her mother Natalie. Some of Gabriella’s current ability and knowing comes from everything that she has learned through her mother. Gabriella has attended groups and workshops throughout the years and traveled extensively around the world to learn more about the body, mind, spirit and spirituality. She has a strong desire to continue to grow as a person and become the best holistic healer she can be. She understands that for effective healing to take place honouring your self is essential which means learning to treat the whole of you well, including eating healthy foods, getting enough rest, and listening to what your body is telling you. Gabriella also has a strong passion for Yoga Therapy and Meditation. She spent a year at Urdang Performing Arts Academy, developing her dance and drama skills. She also builds websites in her spare time. We look forward to seeing you, working with you, and serving each of you. 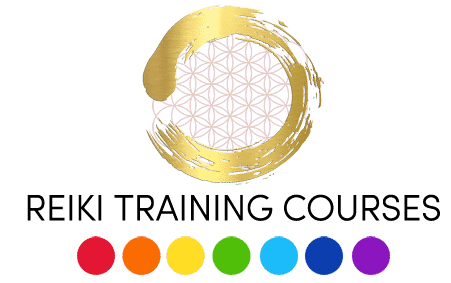 With every person who starts their reiki healing journey, helping themselves & those around them – you are also helping to transform planet Earth as it shifts and heals with you!